No Shadow! Woohoo! Thanks, Phil! Phil didn’t see his shadow today so spring is on the way! Today, February 2nd, 2019, Phil didn’t see his shadow, forecasting an early spring! This is exactly what we needed to hear after a chilling week of bitterly cold temperatures. Much appreciated, Phil. Good choice this year! 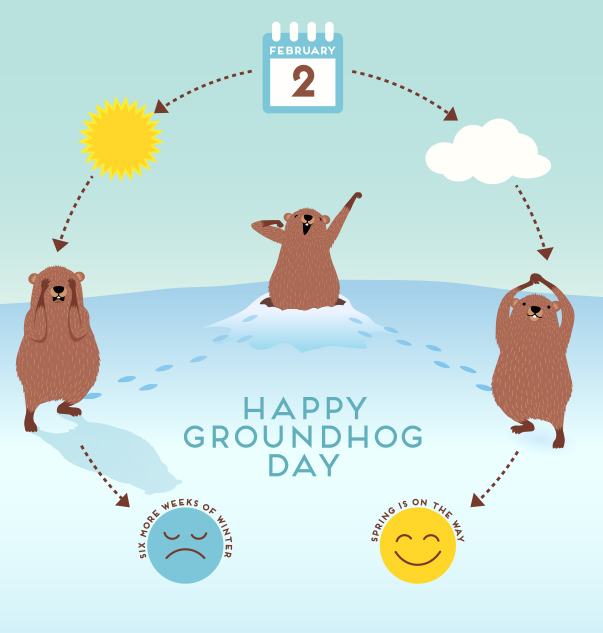 For more fun facts on Groundhog Day, checkout Groundhog Day Explained, our post from last year!